This patch for ROBOLAB 2.9 fixes a few major issues with both the RCX and the NXT and adds some new features, including support for many 3rd party sensors. Use the extended help area to see example programs. To install this patch, you must already have ROBOLAB 2.9 or higher installed. 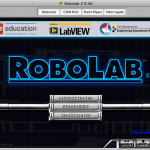 Alternatively, see ROBOLAB for LabVIEW. If you are running the English version, you can either use the Easy Installer (recommended for all users) or the ROBOLAB Patcher (recommended for advanced users). Directions to run the ROBOLAB Patcher are also included in the patch folder in a file named ReadMeFirst.txt . All other languages must use the ROBOLAB Patcher so as not to affect the translated text. The ROBOLAB Patcher requires you to manually install VISA and the new LEGO NXT Driver in order for ROBOLAB 2.9.4 to run properly (directions below). Download the Easy Installer (see below). Unzip the Easy Installer file. Make sure ROBOLAB is closed. Download the ROBOLAB Patcher using the links above. PC Users: After unzipping, RL294PowerPatch_PC.zip, you need to run RL294PowerPatch_PC.exe to access the patch folder. The installer will start – it will prompt you with a few questions, answer them accurately. Once it is done installing, it will ask you to hit done. After that point it will recompile and re-save all Robolab VIs. Install VISA and LEGO NXT Drivers (directions below). 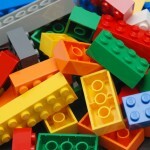 IMPORTANT: Please follow directions to install VISA and LEGO NXT Drivers. 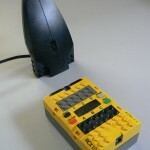 Installing VISA and LEGO NXT Drivers in the incorrect order can cause ROBOLAB 2.9.4 to function improperly. Follow the directions for the VISA Installer. Note: you may have to reboot after this installer. Double click NI_Drivers file to start the drivers install. This will install both VISA and the LEGO NXT Driver. You will be required to reboot after installation. Better Serial Communication support on old RCX tower? ROBOLAB 2.9.4 includes support for interactive books that open in ROBOLAB to demonstrate software features. What’s New in ROBOLAB 2.9.4? Once you have downloaded and unzipped this folder, double click on a file to open it in ROBOLAB. Is the only way to get ROBOLAB 2.9.4 on Vista to install ROBOLAB 2.9.2 and then run the ROBOLAB 2.9.4? Yes, unfortunately this is the only solution. I have Windows Vista x64 (64-bit) and I want to use ROBOLAB 2.9.4 to program my RCX. Unfortunately, the RCX USB Tower is not supported on the 64 bit version of Vista and there are no plans for future support of the USB Tower on this operating system. What if I have a beta version of ROBOLAB 2.9? It’s recommended that you install a clean version of ROBOLAB 2.9 and run the 2.9.4 Patch. How do I uninstall ROBOLAB? PC users: run the uninstaller in your Start Menu and then drag the folder ROBOLAB29 to the trash. MAC users: drag the ROBOLAB29 folder to the trash. Is there an easy way to run the patch / installer on many computers in a computer lab at once? Unfortunately, the patch requires some user interaction. The Easy Installer requires a lot less interaction and runs a lot faster. There is no “silent” mode. I have multiple versions of ROBOLAB on my machine, how do I make sure it upgrades the correct one? The Easy Installer will ask you which one you want to use. The ROBOLAB Patcher is easy – just make sure you run it in the ROBOLAB version you want to upgrade. How can I tell the patch was installed successfully? Hit the “About” button on the main page – it should say 2.9.4. What should I do if I get errors while installing with the ROBOLAB Patcher? How do I get to the extended help in ROBOLAB? Ctrl+H will bring up the help menu – then mouse over the desired icon and at the bottom of the help menu you will see “Click here for more help” in blue – click there.